Monitored video surveillance systems with Video Alarm Verification offer the best security for your business. More than a burglar alarm. More than DVRs and video security cameras. 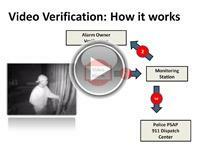 Video alarm verification adds a critical layer of protection to your existing security system. Worry about police response times? 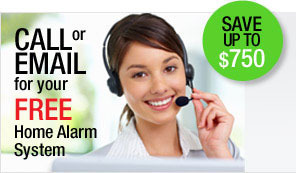 A traditional alarm system only alerts you that an alarm has been tripped. It cannot verify false alarms. The intruder could be your cleaning lady or a dog. Already have security cameras? CCTVs, digital video security cameras and DVRs are great tools for investigating an incident, but not verifying a crime in progress. You receive the video clip on your smart phone. You press the “dispatch” or “ignore” button. Video Alarm Verification will also improve your organization’s productivity and accountability. Read more about remote tracking and loss prevention. 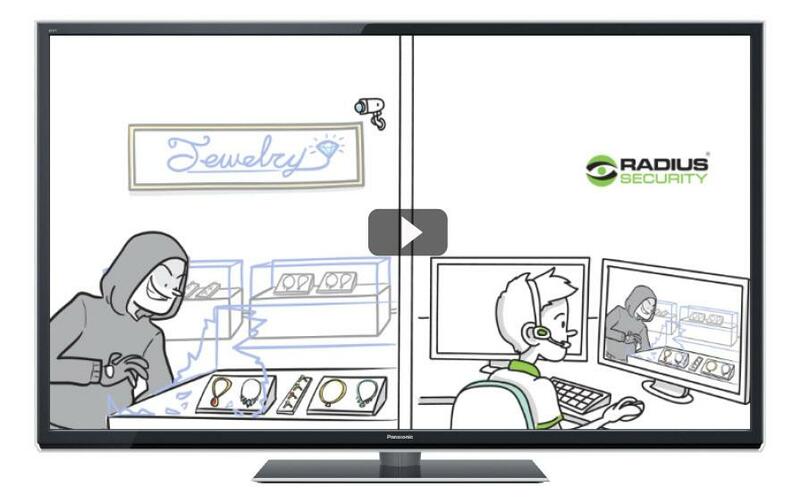 Radius' Redhanded™ remote guarding solution offers Video Alarm Verification for outdoor assets. Using Human Detection Technology™ video analytics software, Redhanded™ continously monitors your incoming video feed for suspicious activity. Radius operators can analyze, track and verify any police incidents. Again, the result is a faster, more effective police response. Contact Radius Security today to learn more about Video Alarm Verification for your security intrusion system. 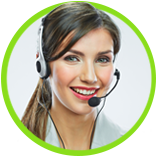 “Your product offered the most cost effective method of securing the site and providing my clients with the peace of mind they were seeking. During the project we had three incidents where the security was compromised. In each case the Radius alarm monitoring center were able to dispatch the police immediately to the site…. “Based on all studies: 95% to 99% of all [alarm] activations are false…Is this a wise use of scarce police resources? Is the only strategy for law enforcement to reduce [false alarms]…to apply a 15-year-old failed strategy of fining the alarm owner?"